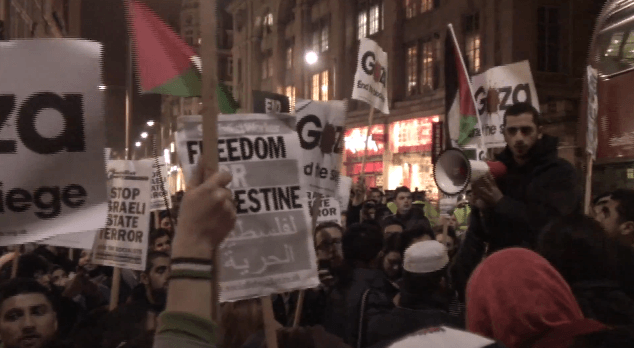 Emergency demonstration outside the Israeli embassy in London on the 15th of November 2012 that followed Israel’s attack on Gaza. IHRC was amongst those who were demonstrating. IHRC TV spoke to Massoud Shadjareh who was amongst the protestors.